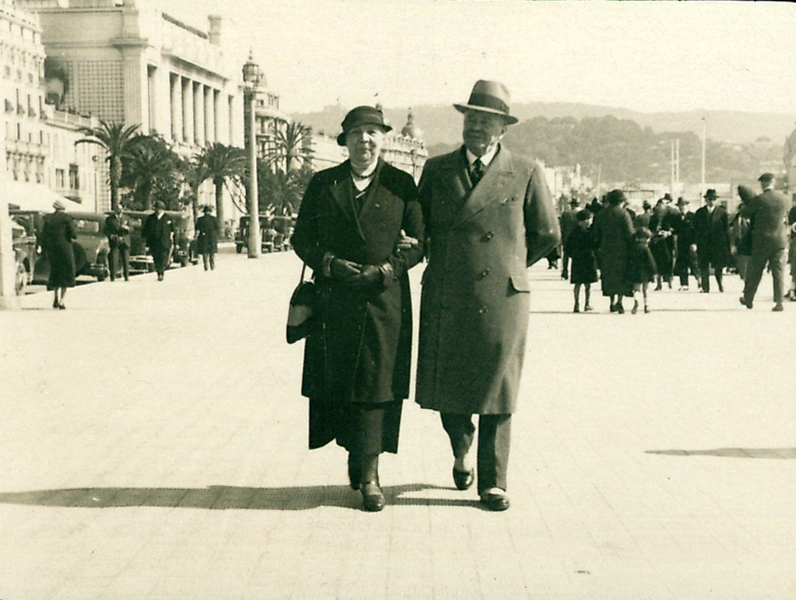 Edmond De Keyser and Alice Buysse strolling down the Promenade des Anglais in Nice, early March 1934. 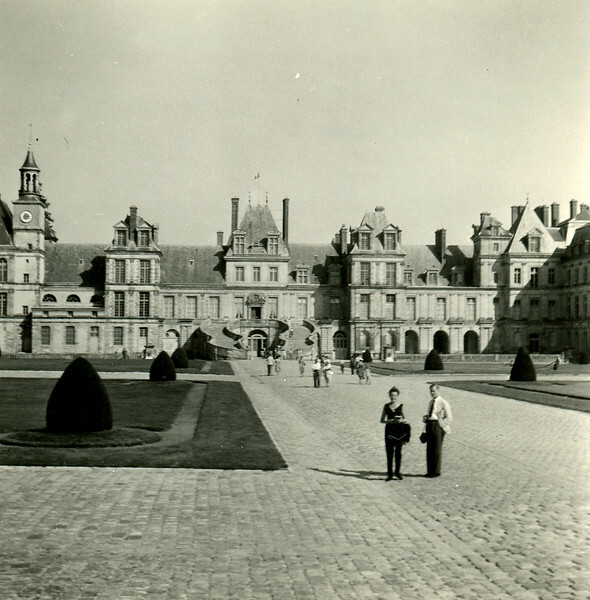 Characteristically, before the age of mass tourism, those who could afford it spent the winter months in the South of France. 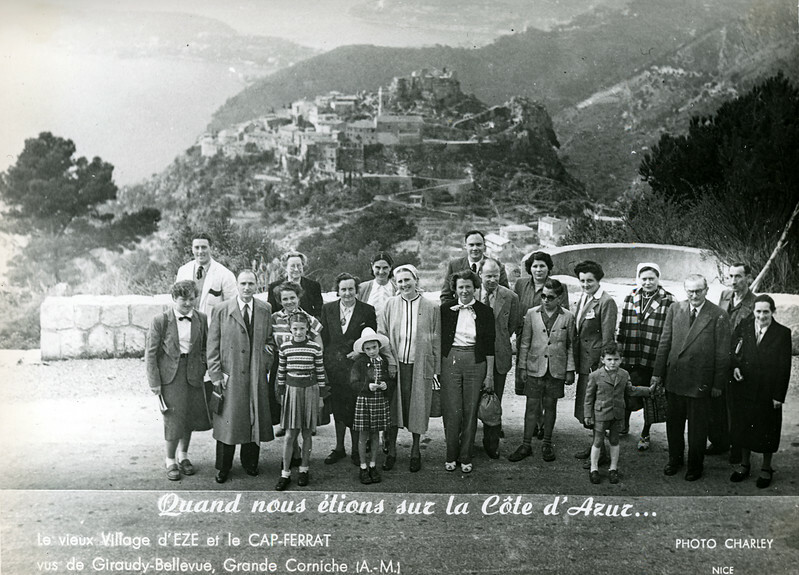 A memorable event for this group, enjoying the stunning views of the Riviera, on a trip from Cannes to Menton along the cliff-hanging Grande Corniche in April 1953. 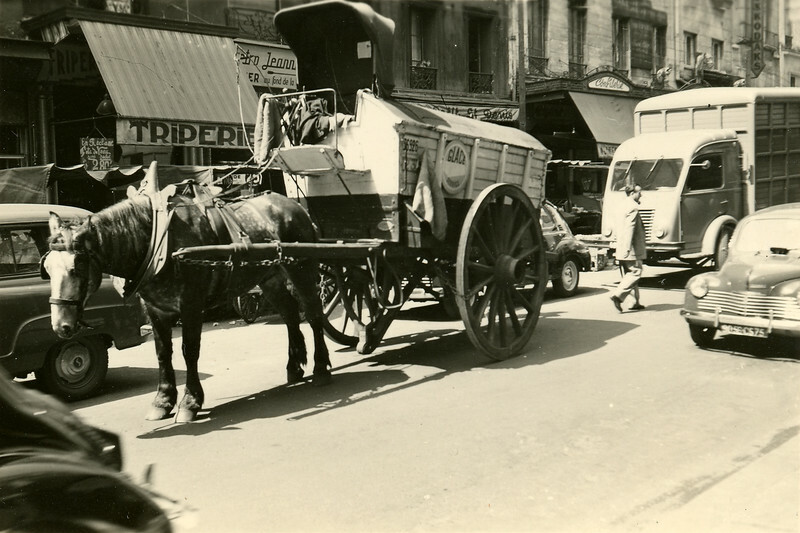 In the 1950s, when horse-drawn wagons selling goods were still common in our cities and before refrigerators became part of our households, one could run into an ice vendor in the streets of Paris. 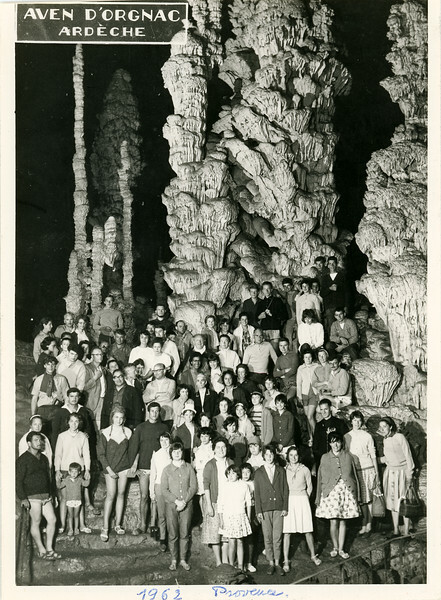 Amongst the stalactites and stalagmites of the Aven d' Orgnac cave in the Ardèche.